Top terrorism experts have warned that Islamic State (ISIS) is planning to flood the UK and other European nations with heroin. The terror group now controls most of the Class A drug trafficked into Europe from Afghanistan and is making huge profits from the criminal trade. Russia’s Federal Drug Control Service (FSKN) believes ISIS could make £33bn ($50bn) through the sale of heroin in Europe. The United Nations (UN) said that the “magnitude of the numbers involved” makes the relationship between terrorists and drug traffickers “worrisome”. Around half of all Europe’s heroin is moved through ISIS controlled territory in Iraq. Criminal gangs who pay ISIS a commission do much of the work, but the terrorists are rapidly expanding their own operations. 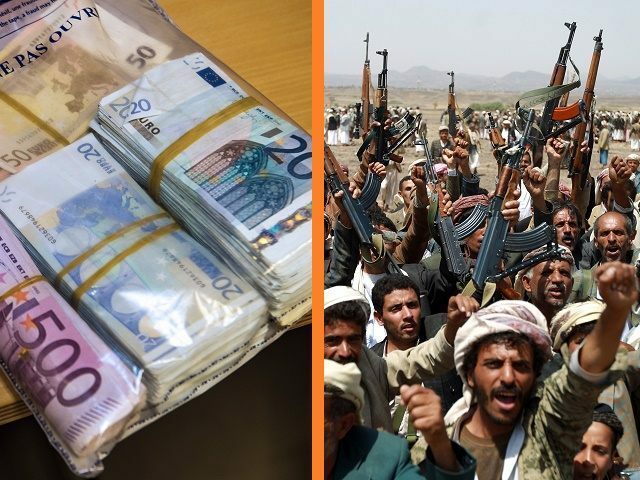 Speaking to Daily Star Online, Tom Keatinge, a terror finance expert from the Royal United Services Insitute, said: “ISIS is a group which makes money out of other people’s endeavour. “If you look at the routes that opium take from Afghanistan, there is a lot of territory contolled by ISIS and therefore they will be making money out of it. “It is not clear that they are currently able to control production, but you see more and more reports that they are active in Afghanistan. The FSKN recently said ISIS already makes $1bn (£660m) a year from drug trafficking, and are planning on expanding the trade as their oil revenue is hit by US and Russian air strikes on oil tankers and wells which have increased since the Paris attacks. Viktor Ivanov, head of FSKN, has said: “The transit of heroin from Afghanistan though the Islamic State-controlled territory is huge financial sponsorship. “The area of poppy plantations is growing. This year, I think, we’ll hear news about record-high poppy harvest and therefore the high yield of opium and heroin. Russia’s UN envoy Vitaly Churkin has urged the UN Security Council to act on the problem. Groups affiliated with ISIS now operate in Afghanistan, Libya, Nigeria and Egypt, among other countries. A National Crime Agency spokesman said: “The amount of heroin estimated to be imported annually into the UK is between 18-23 tonnes. The vast majority of this is derived from Afghan opium. “Iran is an important gateway for Afghan opiates, which are trafficked west from Afghanistan, often en route to Turkey and western Europe. The ISIS terrorists who attacked Paris are thought to have been on hard drugs. Remarkable footage has emerged of a hotel room used by the Belgian terror cell in the day before the Paris attacks, littered with syringes, needles and other hard drug paraphernalia.